To establish and maintain a boarding school for boys and girls who are without one or both parents or whose special circumstances make it desirable that they should go to a boarding school. To bring up the boys and girls in the school upon Protestant principles and to have them educated under arrangements provided by the statutory education authority. Since its original incorporation the organisation has evolved and the Foundation now funds the boarding facilities and pastoral care with the education being provided by the Voluntary Aided School, Royal Alexandra and Albert School, a state funded maintained school. The Foundation owns the land and buildings in which the School is located and appoints the majority of the School’s governors. Over 100 pupils are supported by the Foundation, other charities and local authorities. The Foundation supports over 50 boarding pupils with bursaries and works with the Heads of local primary schools in Merstham (the third most deprived ward in Surrey) to identify pupils who would benefit from Flexi Boarding. Around 25 Flexi Boarders have free places as a result. In addition to the bursaries granted, the Headmaster remits boarding charges in cases of occasional hardship. Around 20 families benefit in this way at any one time. We are very successful in attracting good quality applicants for Foundationer places via the distribution of marketing material to Primary School heads in the South East of England. Applications are also sourced via the website, and through referrals from the grant giving charities and previous Foundationers. It is the intention, subject to continuing financial support from the charitable trusts, to continue to increase the number of boarding Foundationers. The value of means tested bursaries amounts to around £470,000. 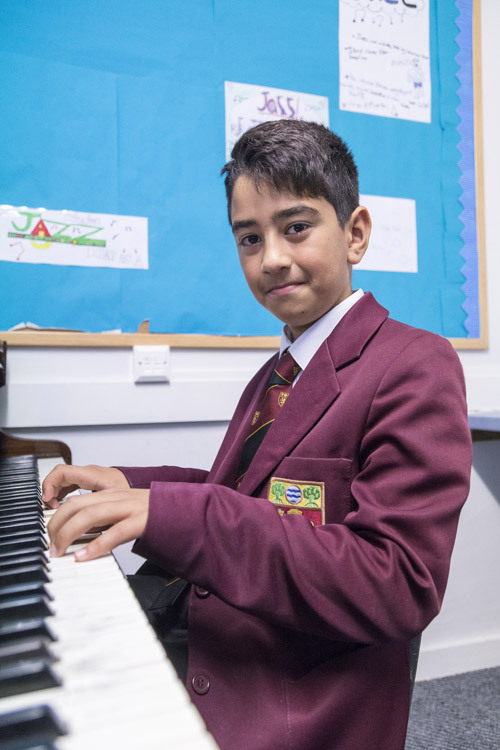 A number of pupils in receipt of bursaries also receive pocket money bursaries, uniform bursaries and assistance with school trips and the cost of music and riding lessons. The Foundation and School are situated in the heart of an historic landscape created by ‘Capability’ Brown. The Foundation has established a subsidiary charity to be responsible for the restoration and conservation of the historic parkland in which it is located both for the benefit of the general public and for the advancement of education including that of pupils at the School. The Foundation is the sole member of Gatton Trust, a charitable company whose objectives are to: conserve the historic landscape and buildings within Gatton Park; provide access for the public to the parkland and provide an education centre for the benefit of the public and the School. During a typical year over 20,000 people enjoy Gatton Park in some way. The programme of open days, guided tours, events and workshops, and family learning and children’s activities are well supported. It would not be possible to deliver the educational programmes or to maintain and develop the parkland without the invaluable support of more than 80 volunteers who give thousands of hours of their time each year. There are strong links with organisations working with individuals suffering from mental health issues, drug and alcohol dependency and those with learning difficulties. Gatton Park Lettings Limited is a wholly-owned subsidiary of the Foundation whose principal activity is the letting of the conference facilities in Gatton Hall. The whole of the taxable profits of Gatton Park Lettings Limited is donated as a charitable donation to the Foundation.